Put Years Of Experience to Work For You! 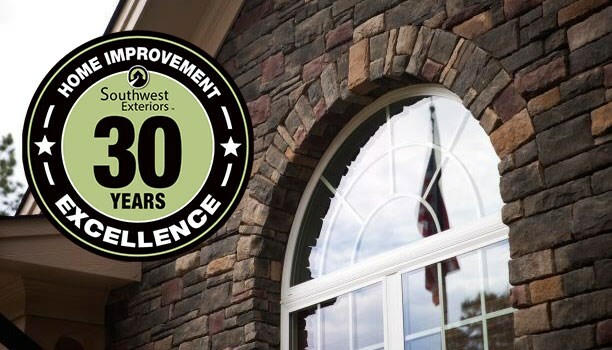 With over 34 years of combined experience we understand that from your perspective, a replacement siding or windows job is not just a project. It’s about maximizing the beauty, value and energy efficiency of your home. That’s why we feature design consultants. We don’t simply take a look at your home and make a high-pressure sales pitch. We take into consideration the architectural design of your home. We ask lots of questions and listen to your needs and desires so that we can help you achieve your long term goals for your home. Ryan became part of the Southwest Exteriors team as an Design Consultant in January of 2009, coming to us with over 13 years of experience in sales and management in the client service industry. The enthusiasm and experience he brings make him a very valuable part of Southwest Exteriors. His favorite part of the job is meeting with prospective clients and determining solutions for the common home improvement issues people have when it comes to windows, siding, and doors. He strongly believes in listening more than talking so he can truly understand what it is that the homeowners really need. Ryan is the proud father of two lovely daughters, Ava and Ella, and in his free time, he also enjoys umpiring college baseball, camping, mountain biking, and serving others as a member Rockhills Church here in San Antonio and through a ministry that has become the passion of his life called Proof Project. Frank joined the Southwest Exteriors team in early 2015, bringing over 15 years of sales and management experience in the client service industry. Frank is very passionate about solving clients problems, and providing the best experience possible with our proven solutions. Frank’s favorite part of the job is to follow up with his clients after the project is complete to confirm how satisfied they are with the completion of the project. Frank and his wonderful wife, Renee are the proud parents of their 4 beautiful children Carson, Kiley, Case, and Kinzey. When he is not serving our clients, Frank cherishes spending time with his family and friends, loves to play golf, and enjoys following his favorite sports teams. Charlie joined the Southwest Exteriors team in the role of Event Coordinator in September of 2013 and is now a Design Consultant. Coming from the food service and hospitality industry, Charlie has a passion for great client service and communicating our values with prospective clients. We are thrilled to have him as one of our Design Consultants and present our company in the community. Charlie is married to the love of his life, Gabrielle, and they have three wonderful children. Together they serve at Rockhills Church in San Antonio, along with some other members of the SWE team. Charlie’s hobbies include spending time with his family, grilling, cooking, reading, basketball, playing guitar, worship leading, and dating his lovely wife. Sergio joined the Southwest Exteriors team in March 2017 after 20 years in Sales and Service Management in the telecommunication industry. Sergio has been in around the remodeling industry as a hobby for several years. His problem solving and remodeling experience make him a valuable Design Consultant. In his free time, he enjoys spending time with his wife Cathy and his three children (Aleni Roma, Sergio Enzo, & Aria Elise). As a family they enjoy going to the movies, riding their bikes, and hanging out with friends. They are members of Rockhills Church in San Antonio and Sergio is a board member of the Building Smiles Foundation (for kids fighting cancer). Eric joined Southwest Exteriors as a Design Consultant in 2016. He grew up in the construction industry and has a vast knowledge of the home improvement industry. He has a passion for helping to design the perfect solutions for each home. When Eric is not working he enjoys spending time with his amazing wife, Erica. He also loves to hunt, play golf, and be out on the lake. The Popes have made Nineteen:Ten in Boerne their home church and love volunteering with the youth program. Jason originally joined the Southwest Exteriors team back in 2016. He loves the opportunity to meet with clients and find the best solutions for their home. Jason has 18 years of ministry experience serving in various roles on church staffs. Most recently he was the Care & Counseling Pastor at a local church. He also worked in the banking industry as a project manager, and the restaurant industry as a kitchen manager . Jason has been married to his beautiful wife Becky since 1999. They have 4 kids and attend Community Bible Church.